Everyone has been taught that the Greek city-state is the ultimate source of the Western tradition in literature, philosophy, and politics. For generations, scholars have focused on the rise of the city-state and its brilliant cosmopolitan culture. Now Victor Hanson, the author of several studies of ancient warfare and agriculture, has written a book that will completely change our view of Greek society. For Hanson shows that the real "Greek revolution" was not the rise of a free and democratic urban culture, remarkable as this was, but the historic innovation of the independent family farm. 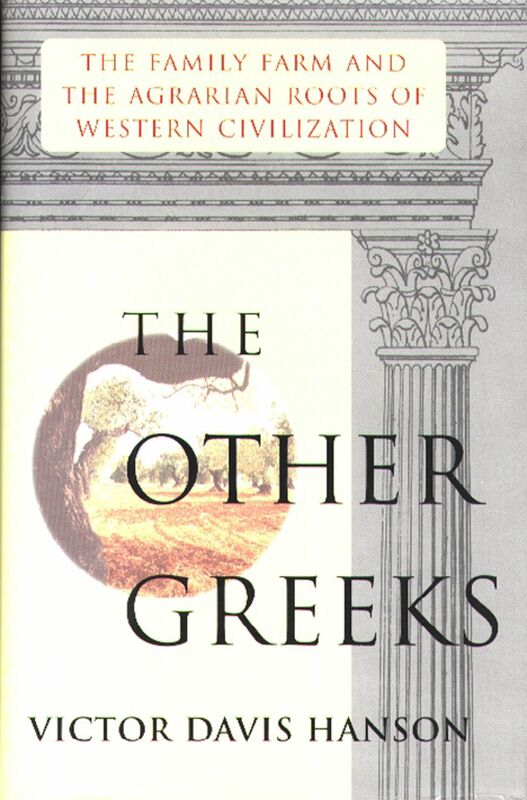 The heroes of his book, therefore, are what he calls "the other Greeks" - the neglected freehold farmers, vinegrowers and herdsmen of ancient Greece who formed the backbone of Hellenic civilization. It was these tough-minded, pracitcal, and fiercely independent agrarians, Hanson contends, who gave Greek culture its distinctive emphasis on private property, constitutional government, contractual agreements, infantry warfare, and individual rights. Hanson's reconstruction of ancient Greek farm life, informed by the hands-on knowledge of the subject (he is a fifth-generation California vine and fruit-grower), is fresh, comprehensive, and totally absorbing. But his detailed chronicle of the rise and tragic fall of the Greek city-state also helps us to grasp the implications of what may be the single most significant trend in American life today - namely, the imminent extinction of the family farm. Since Thomas Jefferson Hanson points out, American democracy has been though to depend on the virtues that have traditionally been bred on the farm: self-reliance, honesty, skepticism, a healthy suspicion of urban sophistication, and a stern ethic of accountability, which, as the Greeks teach us, have always been the core values of democratic citizenship. Hanson rightly fears the consequences for American democracy when the family farm disappears, taking with it our last links to the agrarian roots of Western civilization.